It’s easy for boards and top-teams to get caught-up in the routine of managing the business and even in the routine of managing the board agenda! My experience has been that if you give people the opportunity to examine the right issues and some structure to do it with, they’ll usually be more than ready to do so. the organization is very busy but not outstandingly successful financially and there’s an “If it ain’t broke don’t fix it” mentally getting in the way of doing it better. If that’s the case in your business, you’ll need to act as a catalyst and influencer so that the right people will give these issues their conscious attention. If you’re the boss, that’s relatively easy to do and it may be you’ve just not had the time or process to think about it before. If you’re not the boss, you’ll need to start building alliances and setting out the case for change, so that the Critical Success Factors for your business can be managed properly. 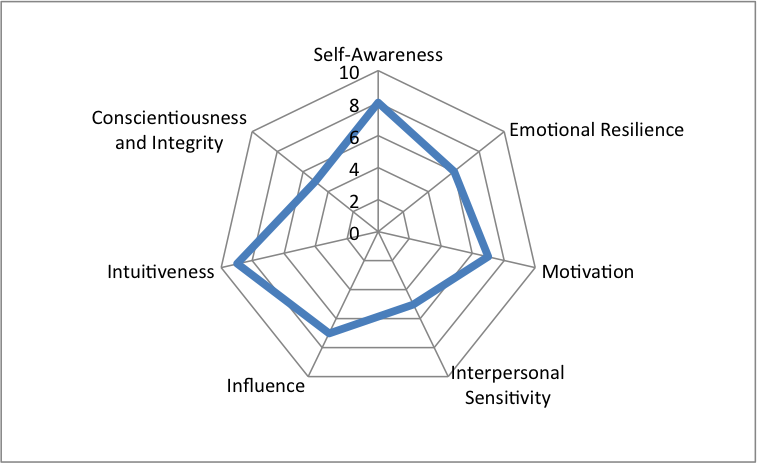 If you want to get a head-start identifying your CSFs, try downloading my area-analysis grid by clicking on the picture at the top of this article. 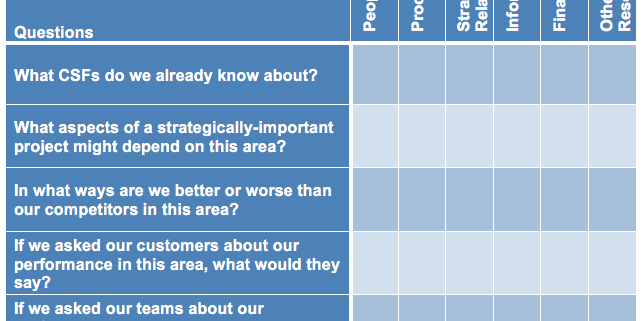 This grid is also a great process to use at a board awayday session. Try sticking a big grid on the wall or the floor and then populating it with Post-its. Have you told them directly about what seems to be going on? Are they perhaps acting as the “unconscious voice of the system” – either as a safety valve that shows there is pressure in your organisation, or a warning signal that you’ve missed something significant? Is it really just them or, if you pay careful attention, are others also doing this? Is this a behavioural pattern for them that also occurs in other places and situations? Do you really need them to be any different? If the answer to 5 is “Yes”, have you actually asked them to change? If they were to change, what’s in it for them? 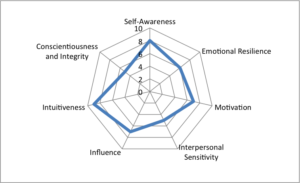 What strengths and positive personal qualities do they have that they might apply in this situation (but aren’t currently applying)? What might they be afraid of (consciously or unconsciously), that is keeping them out of sync with your team? Can you adjust the circumstances in some way to better accommodate their preferred ways of doing things? Have you discussed this, in a ‘safe’ way, with the whole team present? What other support have you offered them to help adapt and/or get fully onboard? Over the last couple of years I’ve worked with several teams, businesses and organisations who felt that they’d become stuck and had lost a large part of the passion and hunger for what they do. As a result, they were grinding along, with every step seeming to cost a huge amount of effort, losing out on opportunities and not really addressing the problems they were facing. 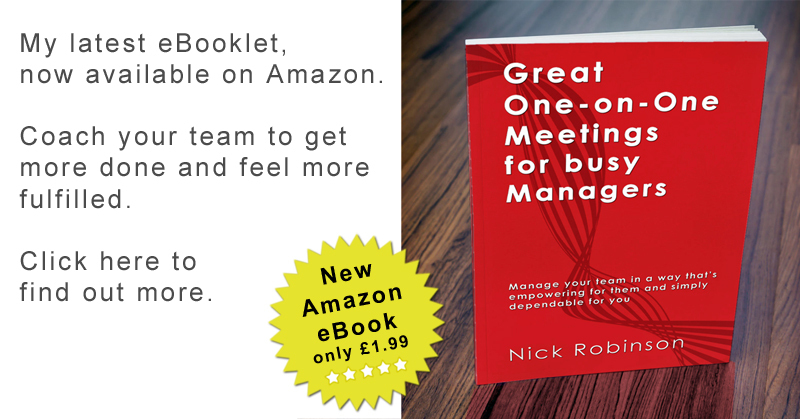 I’ve used the tools and techniques described here to help the top teams in those organisations and businesses to re-energise themselves and find their own momentum to carry them along. Some people will tell you that, in those grinding circumstances, your organisation, team or business needs to re-asses its strategic priorities. And I think there’s sometimes some truth in that. BUT – you’ve got to do one or two other things first. Otherwise, when that strategic re-assessment is required, that also just becomes another ineffective part of the soulless grind. There’s also been a lot of interest recently in Finding Your ‘Why’. People say, “Always start with your why” – Why did you go into that business, in that segment? 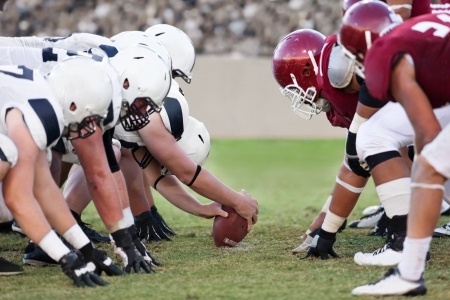 – Why does your organisation or your particular team exist? And this is a good exercise to do when you already have momentum and want to have a coherent marketing message. In fact, the WHY is one of the most powerful marketing messages there is. BUT – my experience has been, when it comes to re-energising your own business and finding that momentum that will carry your team forwards, asking “Why” can stop you dead in your tracks. I don’t know about you, but I started doing what I do because I felt I might be able to become good at it. Along the way, I had to overcome quite a few obstacles. And as I started to get better at doing it, I liked it more and more. I believe this virtuous circle is the key to re-energising your team and finding momentum, and it’s the one I’ve used successfully with those teams and businesses over the last couple of years. At its simplest, I think people enjoy doing what they’re good at and that this enjoyment carries them over any obstacles to becoming even better at it. And that overcoming those obstacles is itself a way of getting even better. If you want to re-energise your team, business or organisation, and find the momentum to carry them forward, you need to remind people how they’ve already lived this virtuous circle. I’ve used lots of different tools and techniques to do this. First, because I like experimenting, finding out what works. And second, because I like to take an approach that is tailored specifically to a particular team or business, so that it is really effective and is just for them and they can own it as theirs. I’ll always include some way of representing the journey of that team and business from the past through the present. And along the way they’ll also get a chance to remember what they had to overcome to get there and what they had to become good at doing. For example, if this is a team who are good at thinking in logical steps, I’ll use a ‘spatial anchoring’ technique, marking the timeline of their business along the floor and re-tracing their steps from the past to the present. If they’re a team who listens well, I might have different members represent key points along the timeline, and tell the story of that point as the group moves along. I’ve asked video production companies to make a visual vignettes of their business’s journey. One organisation I visited used bright colours and diagrams everywhere, so I asked them to colour-code and map-out the obstacles they’d had to overcome and the things they’d enjoyed along the way. Another business, good at summarising and explaining to each other, were asked to peg out cards to an impromptu washing-line, each card briefly describing their experiences over the 15 years since their business was founded. I don’t know about you, but I want room to grow into. I want to know that there is space and potential in my future. Not too much space, because I don’t want to be rattling around not knowing where to go, but enough space to house my ambitions. 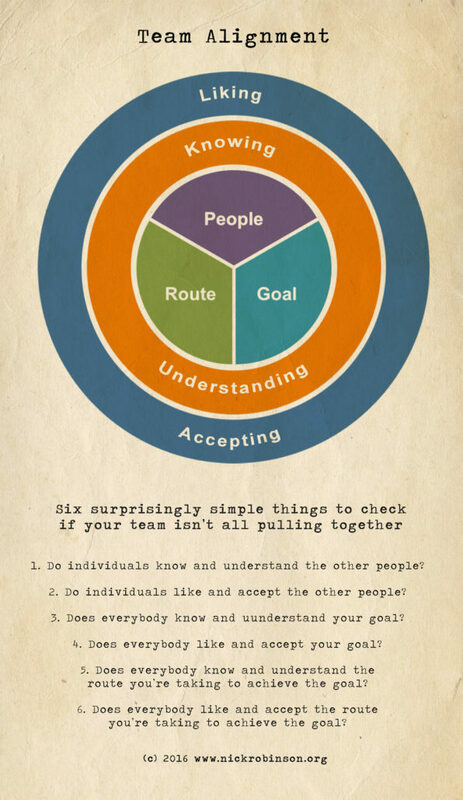 I think teams and businesses are the same. 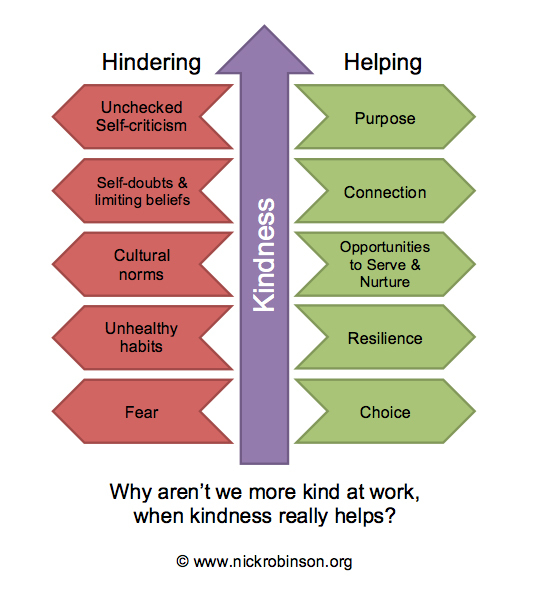 The people that breathe life into those teams and businesses unconsciously need to see, feel and understand that there is a supporting structure that has enough space for an enjoyable future. This is the key to the second part of what you’re trying to achieve – as well as re-energising them, you need keep them going. To create momentum to carry this team into the future. Whatever technique you’ve used to represent their journey so far, make sure that it can also extend easily and spaciously into the future. So, for example, if you use the ‘spatial anchoring’ technique described above, make sure there’s also room along the floor to include the future without cramming it into a corner. 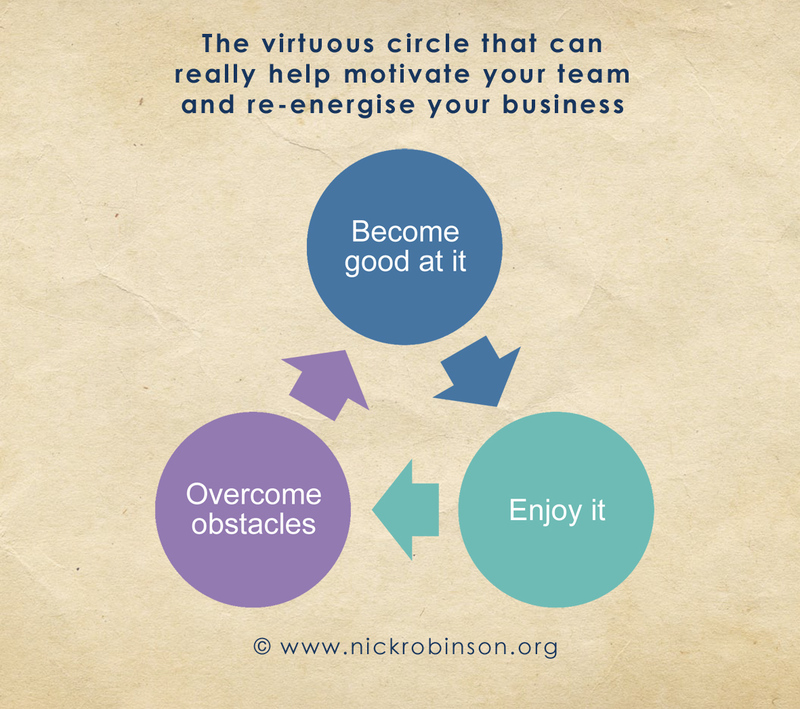 Recreate that virtuous circle for your team, business or organisation. Help them to re-live the overcoming of obstacles that got to where you are now, to reconnect with the things you’ve become good at along the way. If you can do that, then I think you are most of the way there to re-energising and rediscovering that enjoyment. If you can do it in a way which deploys those three principles of: Time, Playing to your Strengths and creating Space for the Future, then I believe you will also find the momentum you want. “Even though I thought we’d decided this months ago, the same issue keeps coming up again and again”. What is happening that smart, experienced people can get stuck in this cycle? Why do key decisions seem to take forever or get revisited again and again without making progress? The 17th century French philosopher, mathematician and scientist René Descartes had some interesting things to say about systems and how to work with them. He used the example of a clock, saying that you can’t take one piece out of a complex system like a clock and expect to easily identify the role of either that individual piece or (most importantly) the functioning of the whole clock. influence the wider system to change. If you’re a member of the top-team or board, or an employee of it, you’re already plugged-into that system. This is why an external change agent often seems to have a much easier time influencing the board to make changes. Here are some of my tips, from a systems point of view, for getting a board or a top-team to address an issue or make a decision that has previously been postponed or keeps being revisited. Whilst they’re not directly attributable to Descartes, I’m sure he’d have approved – especially if Post-Its had been around when he was doing his Cogito ergo sum stuff! 7Talk to an experienced facilitator about your processes. If you want them to actually help at your meetings, then you’ll need somebody who is able to build a good working relationship with your board as a whole and with the individuals, and who is also able to keep their independence and not become too much of a part of your system.